Remember my previous post on my mother’s designs? If you don’t, check it out here. So after a lot of nagging from our end, my talented Mum finally decides to go professional with her label. 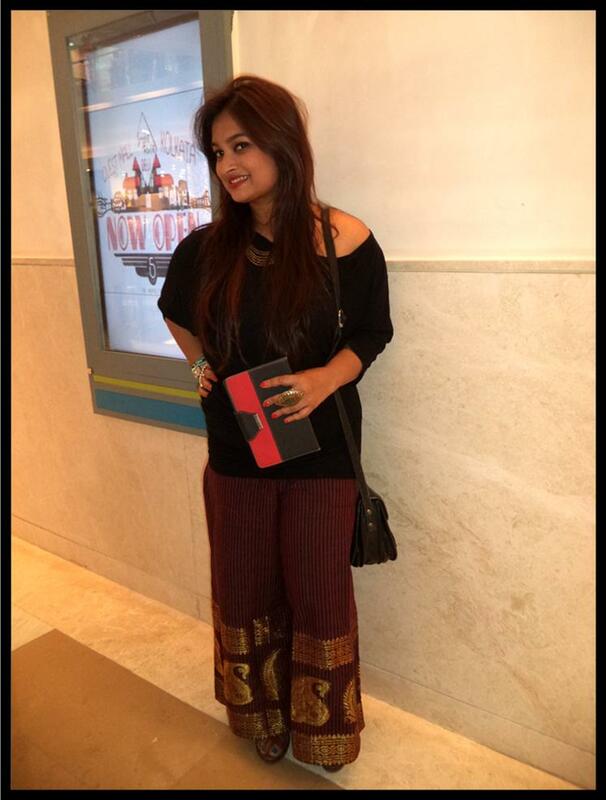 Sticking to the beautiful name, “Urmi”, her designs have a label now. If you wish to check out her designs, do visit her Facebook page. 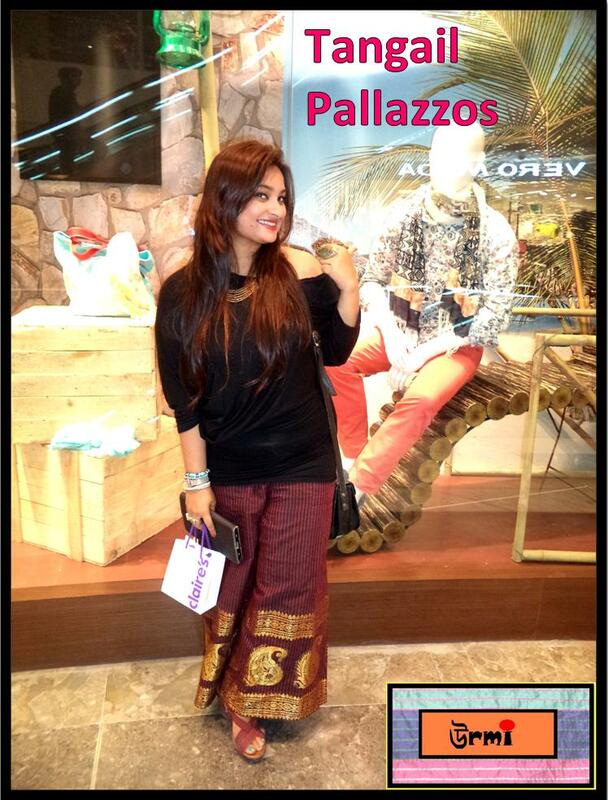 These pallazzos are inspired by the “Taant” of West Bengal. “Taant” is a kind of cotton weave which belongs mainly to Phulia, Nadia district of West Bengal. Popular in it’s form in sarees, this kind of cotton makes it perfect for the mostly humid weather of Bengal. The Bengali Taant is given a western twist in these pallazzos. 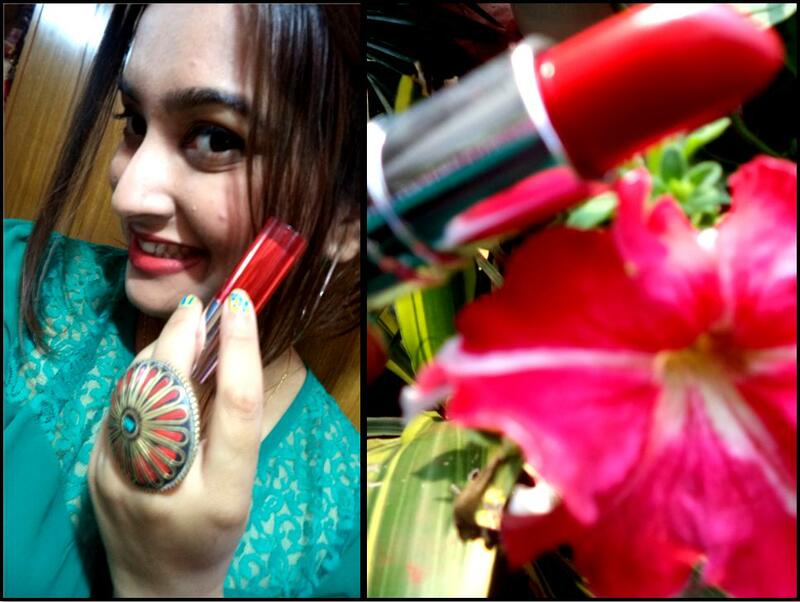 Teaming with the outfit, I’m wearing red lips, courtesy The Body Shop. I have been in love with The Body Shop “Color Crush” range since the very first moment I set my eyes upon them, the lipstick being my personal favorite. The red is so perfect that I just CANNOT get enogh of it. I wish I could wear it everywhere and never had to remove it! See you soon with another post. Till then stay happy and absolutely stylish! The label “urmi” sounds really great.. awesomely designed pallazzos.. stunning look with the lipstick and the accessories..